Among the model's 75 pockets, sleeves, and loops, you will find a number of compartments with hook-and-loop flap closure. There's also a 7" x 5.5" plastic tray with dividers that's perfect for smaller parts like drill bits, nuts, screws, and other similar accessories. The bottom isn't reinforced, so you'll often have to balance the backpack against something. 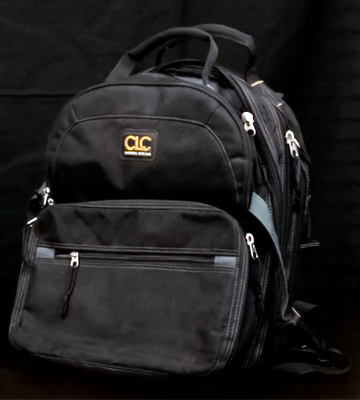 CLC Custom LeatherCraft 1132 is easily the best backpack here and one of the better options on the market right now. 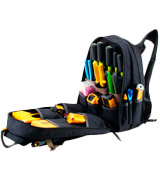 HVAC service representatives, stadium-lighting contractors, television technicians, installers, part-time mechanics, there is virtually no type of worker that wouldn't benefit from this bag. A hook-and-loop fastened pouch is perfect for manuals and similar items. There's a laptop sleeve for valuable electronics. The impact-resistant molded plastic base, with its water-resistant properties, will let you set the backpack upright in damp environments without retaining any damage. 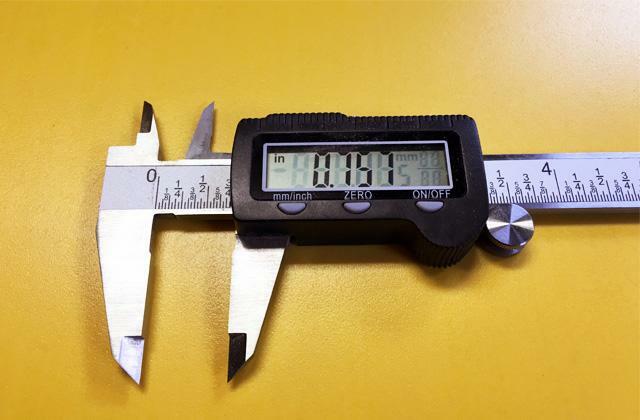 There are no pockets suitable for pencil-shaped tools. 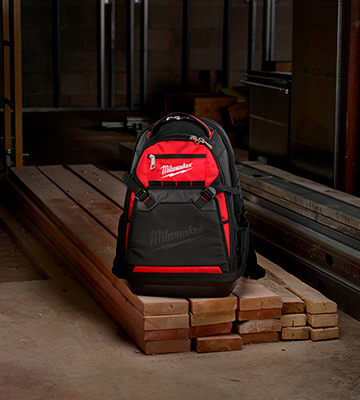 Whether you're a construction worker who needs a reliable tool organizer, someone who works with computers, a plumber, carpenter, professional mechanic, electrician, or a service tech, you can hardly go wrong with this Milwaukee 1680 Denier rucksack. CLC 1134 features 7 external pockets. These pockets allow you to store and quickly access a measuring tape, pen, flashlight, and a bunch of similar accessories. 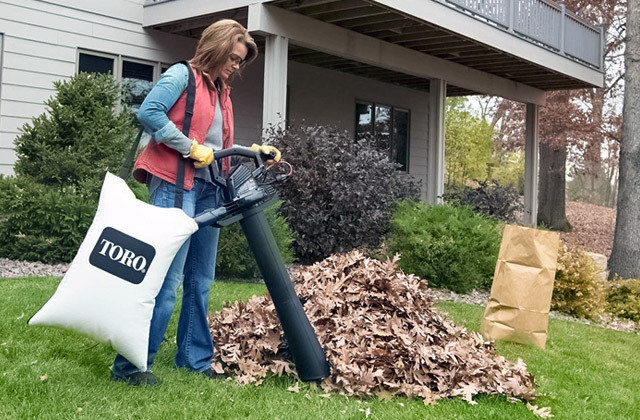 The adjustable compression pocket easily accepts and, in turn, lets you store bulky items. Additional padding in the back area gives you extra back support. Takes some time and finesse to adjust the shoulder straps. Custom Leathercraft 1134 is convenient, practical, comfortable, and, for the most part, a real pleasure to deal with. The rubber feet keep this tool backpack nice and steady. 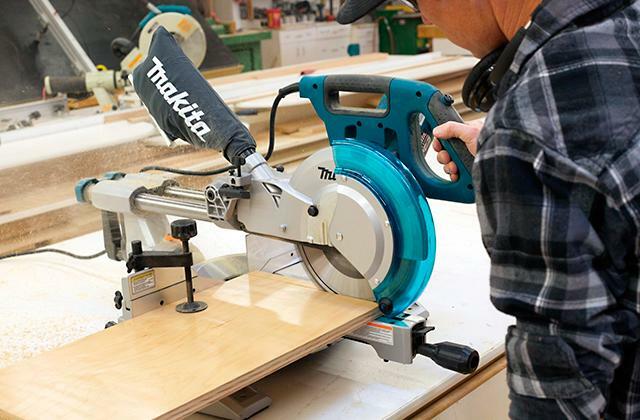 It gives you a compartment for every tool and a pocket for every part. The tall bag is perfect for storing long screwdrivers. A hard, molded zippered front top pocket protects your safety glasses. 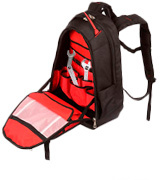 The fully molded bottom protects the tools from the elements and gives the backpack a stable and steady foundation. The carrying handles do not include any padding. 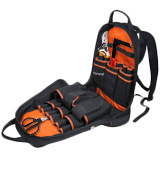 Klein Tools 55421BP-14 is easily the best backpack for electricians. The orange interior makes for great tool visibility. The 1680d ballistic weave gives the bag awesome durability. There's enough space for every tool and it keeps those tools well-protected. The model comes equipped with a built-in LED flashlight. With 3 light output settings, you'll be able to adjust it for wide area illumination or close-up work. 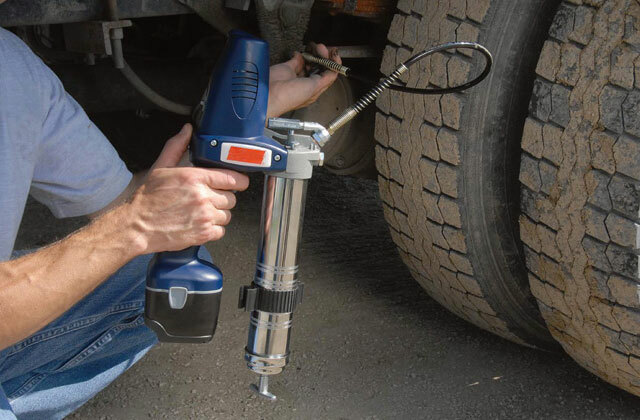 The rubber feet base reduces wear and abrasion. The yellow inserts are easily soiled. 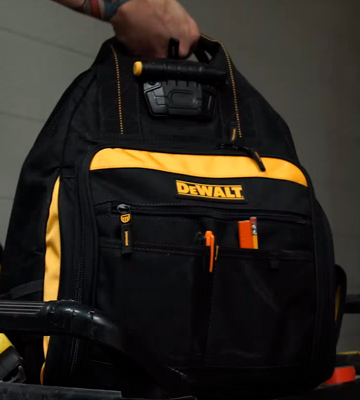 DEWALT DGL523 is a small tool backpack, compact in size but big in features. 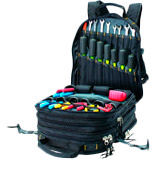 Using this bag, any contractor will be able to stay productive and organized. Add to that the model's creative and effective compartmentalization and you have yourself a winner. 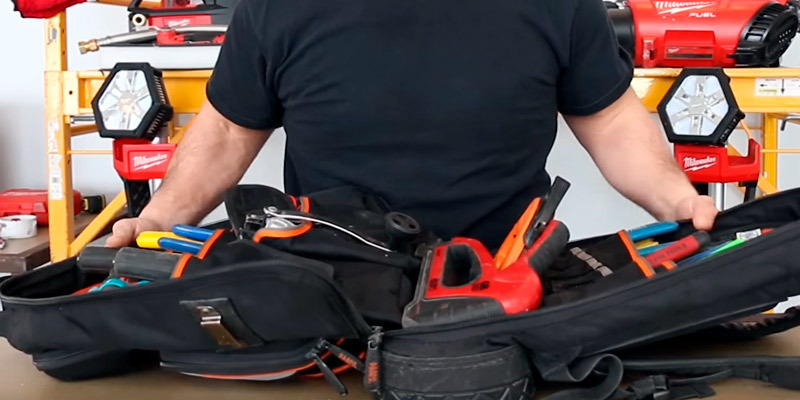 Don't think tool backpacks can cut it? Well, CLC Custom LeatherCraft 1132 might very well convince you otherwise. More often than not, these backpacks don't give you the same number and quality of compartments. With this model, that couldn't be further from the truth. 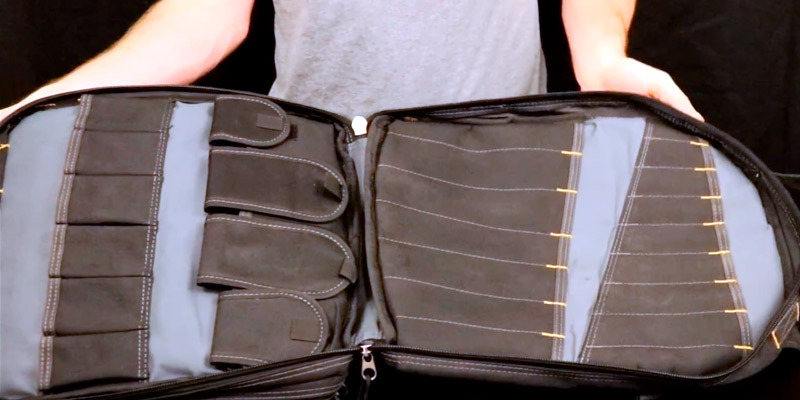 Six zippered compartments and 75 (that's right, seventy-five) pockets, sleeves, and loops will let you divide each and every one of your instruments the way you see fit. 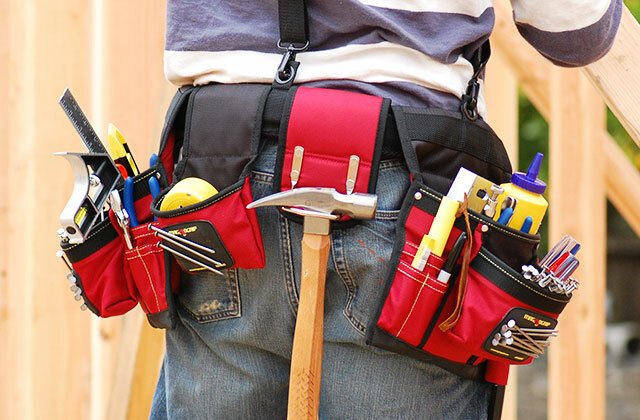 Need to keep certain tools in place? No problem. Among those 75 pockets, you will find a number of compartments with hook-and-loop flap closure. Needless to say, it will help you keep those instruments in place. With several partitions, you'll have no issues organizing your tools by groups. You can put a 14-piece wrench set in one section and a cordless drill in another. There's also a section that's perfect for extension cords, pliers, testers, and anything along these lines. As if all of that wasn't enough already, the folk at Custom LeatherCraft have included a 7" x 5.5" plastic tray. A tray like that is perfect for smaller parts like drill bits, bolts, nuts, screws, and other similar accessories. The only real drawback of this bag is that the bottom isn't reinforced, so you will often have to balance it against the wall or any other steady surface. Apart from that, CLC Custom LeatherCraft 1132 is easily the best backpack here and one of the better options on the market right now. 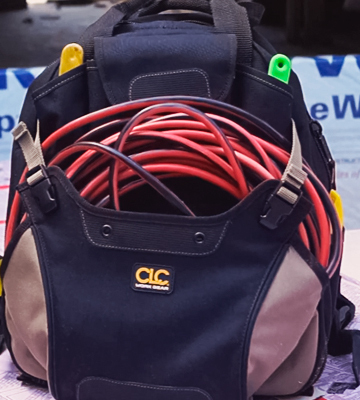 HVAC service representatives, stadium-lighting contractors, television technicians, installers, part-time mechanics, there is virtually no type of worker that wouldn't benefit from this bag. Advertised as a jobsite backpack, Milwaukee 1680 Denier is no joke. First and foremost, it gives you 35 organizational pockets. These pockets line the interior as well as the exterior of the backpack. Naturally, the pockets differ in size, meaning that you will be able to store everything you need, from water bottles to pliers to screwdrivers. Hell, there's even a nice hook-and-loop fastened pouch that's perfect for manuals and similar items. There isn't a pouch for pencil-shaped tools, which is a little bit of a shame. But, other than that, there's a compartment for everything. 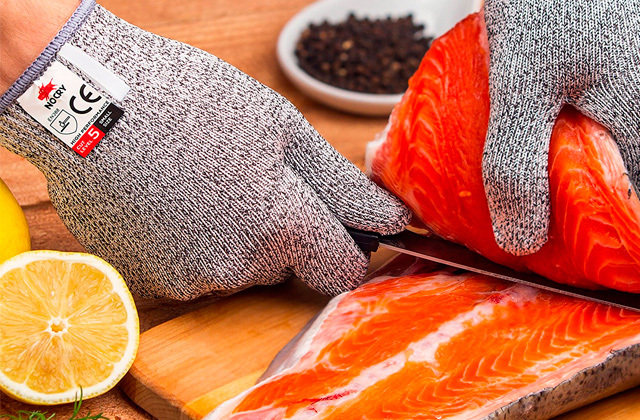 Two zippered compartments will allow you to store fish tape or electrical tape within reach, all while protecting these items from the elements. But what we like most about this tool backpack is, without a doubt, the laptop sleeve. In it, you will be able to keep those valuable electronics of yours protected as you carry them around. It makes the model suitable not just for construction workers as the marketing would have you believe but also for IT technicians. That said, just as important is the impact-resistant molded plastic base of the bag. This large rigid surface with its water-resistant properties will allow you to set the backpack upright in damp environments without retaining any damage. In conclusion, whether you're a construction worker who needs a reliable storage option, someone who works with computers, a plumber, carpenter, professional mechanic, electrician, or a service tech, you can hardly go wrong with this Milwaukee 1680 Denier rucksack. It is clear why Custom Leathercraft market their CLC 1134 model towards carpenters first and foremost. That said, this is a versatile storage bag that suits a bunch of other similar professions just as well. The model includes 44 pockets. Within those 44 pockets, you will find 2 zippered compartments. One of these compartments is great for tools and other parts, while the other is perfect for a cordless drill and battery. CLC 1134 features 7 external pockets. These pockets allow you to store and quickly access a measuring tape, pen, flashlight, and a bunch of similar accessories. Finally, to conclude the subject of pockets, there's this nice adjustable compression pocket that easily accepts and, in turn, lets you store bulky items. Some people find backpacks inconvenient. But even the biggest backpack haters will have to admit that this thing is as comfortable as they come. With additional padding in the back region to go with the usual shoulder straps and an adjustable chest strap, you'll be able to carry that backpack around with comfort and grace. That said, it might take some time and effort to adjust those straps. But it is no rocket science and you should be able to figure them out somewhere down the road. Bottom line, Custom Leathercraft 1134 is convenient, practical, comfortable, and, for the most part, a real pleasure to deal with. 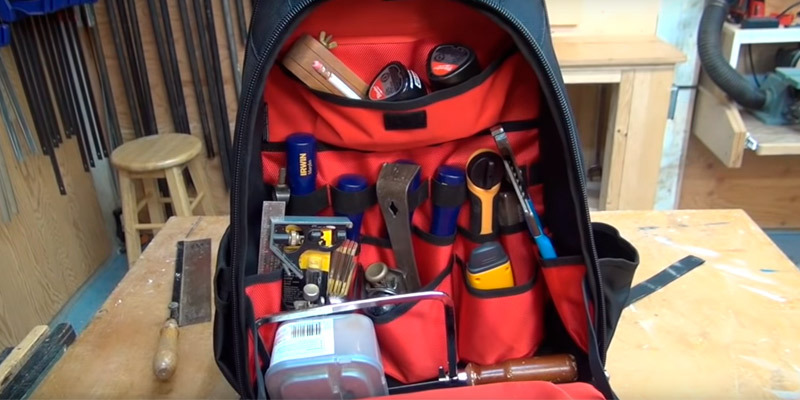 The rubber feet keep this tool backpack nice and steady. It gives you a compartment for every tool and a pocket for every part. "Klein" is German for small, right? Well, then it definitely isn't a bad choice of word to describe the 55421BP-14 model. Featuring 14.5 inches in width, 7.25 in depth, and 20 inches in height, this is easily the most compact backpack on our list. The advantages of a compact rucksack are obvious. That said, so are the disadvantages, but don't let them sway you in a different direction just yet. Sure, it isn't deep or wide, but the bag is tall. And a tall bag like that, along with its interior pockets, is perfect for storing long screwdrivers. 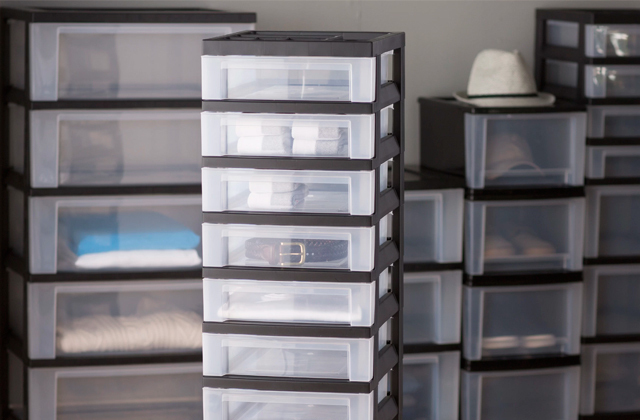 All in all, the model incorporates 39 pockets, so you will have tons of storage space. Some of these pockets and pouches are pretty standard, like a front zipper pocket that is usually reserved for smaller tools and accessories. But some aren't quite as common like, for example, this nice little hard molded front pocket on top of the main front zipper pocket. Zippered as well, this pocket protects your safety glasses, and we couldn't stress enough how important of a role it can play in the long run. Speaking of things that are molded, how about a fully molded bottom? 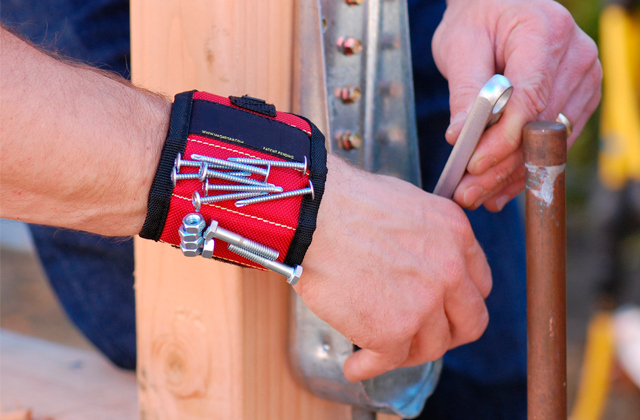 It protects the tools from the elements and gives you a stable foundation. 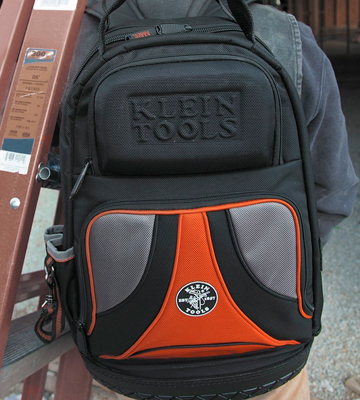 All things considered, Klein Tools 55421BP-14 is easily the best backpack for electricians. The orange interior makes for great tool visibility. The 1680d ballistic weave gives the bag awesome durability. 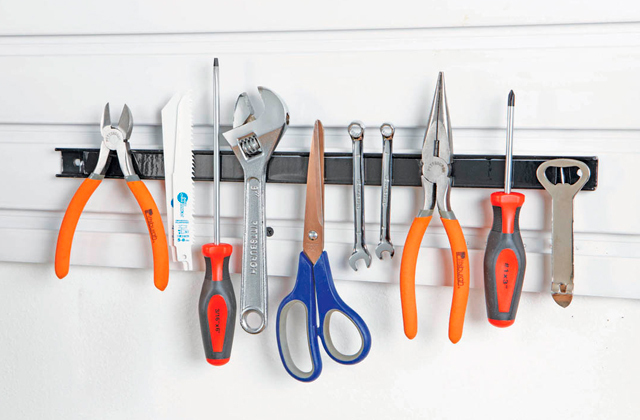 There's enough space for every tool and it keeps those tools well-protected. DeWalt is a company mostly known for their tools and not for tool cases and similar storage solutions. 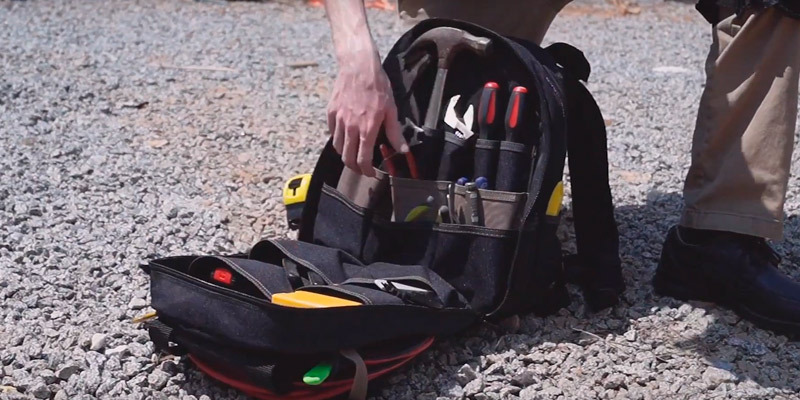 But, of course, if they know how to handle their tools, it comes as no surprise that they also know how to handle their tool backpacks and you don't have to look further than to the DeWalt DGL523 for a good example of that. For the most part, the model is more or less your run-of-the-mill backpack for instruments. It comes fitted with 57 pockets, including 49 multi-use pockets inside and 9 outside. As you'd imagine, the number of pockets is more than enough to organize every instrument and every accessory. 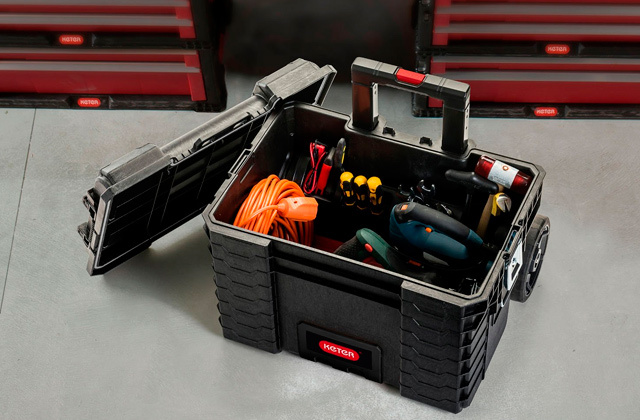 There's enough space and plenty of compartments for drills, pliers, wrench sets, testers, drill bits, screwdrivers, extension cords, and plenty of other tools. Having said all of that, we wouldn't call this lighted backpack an ordinary model if not, at least, for the fact that it comes equipped with a built-in LED flashlight. With 3 light output settings, you'll be able to adjust it for wide area illumination or close-up work. On top (figuratively speaking) of everything else, there's a base with rubber feet, a simple but effective design solution that reduces wear and abrasion. To sum it all up, DEWALT DGL523 is a small tool backpack, compact in size but big in features. 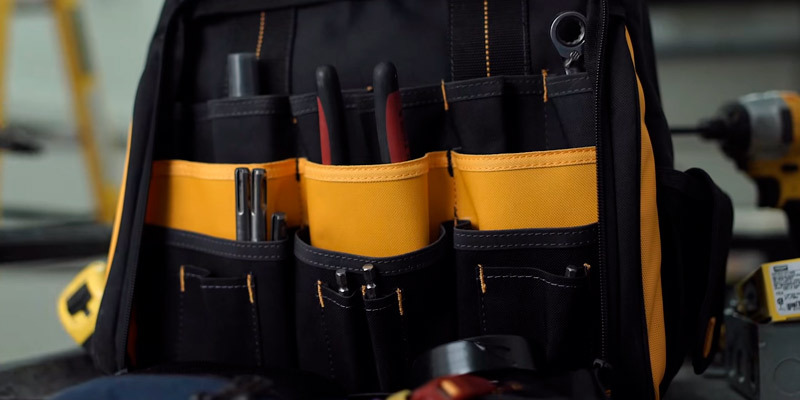 Using this bag, any contractor will be able to stay productive and organized. Add to that the model's creative and effective compartmentalization and you have yourself a winner. Most people like to keep their instruments in tool boxes. And there's nothing wrong with those. They definitely have their advantages. But, come on, a backpack is far more comfortable and practical. Do we even have to spell it out? The advantages of having your hands free as you're carrying every necessary tool at your disposal on your trusty back? Let's be honest, you can't go wrong with that. Of course, regular backpacks do not give you the same compartmentalization. But choose the right model and you will have plenty of compartments, pockets, holders, and trays for every single one of your tools and instruments. 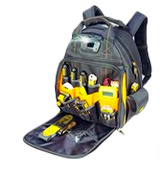 Not dissimilar to regular backpacks, the quality of a tool backpack is also determined by the quality of the straps and the overall exterior design. Whether these straps are adjustable, whether the handles have some padding to them, whether the bag includes feet, and whether the size is suitable for your needs and preferences are the things you need to keep in mind when you go looking for that right model. Now, to make yourself a mobile artillery unit with every tool at your immediate disposal, all that's left is to complement a bag like that with a tool belt.